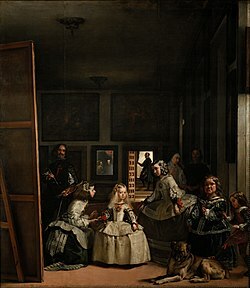 The Spanish Golden Age (Spanish: Siglo de Oro [ˈsiɣlo ðe ˈoɾo], "Golden Century") is a period of flourishing in arts and literature in Spain, coinciding with the rise of the Spanish Habsburg dynasty. Politically, El Siglo de Oro lasted from the accession to the throne of Philip II of Spain in 1556 to the Treaty of the Pyrenees in 1659. When no precise dating is used, the period begins no earlier than 1492 (with the end of the Reconquista, the sea voyages of Christopher Columbus to the New World, and the publication of Antonio de Nebrija's Grammar of the Castilian Language) and ends no later than 1681 with the death of the Pedro Calderón de la Barca, the last great writer of the age. Known for his unique expressionistic style that met with both puzzlement and admiration, El Greco (which means "The Greek") was not Spanish, having been born Domenikos Theotokopoulos in Crete. He studied the great Italian masters of his time - Titian, Tintoretto, and Michelangelo - when he lived in Italy from 1568 to 1577. According to legend, he asserted that he would paint a mural that would be as good as one of Michelangelo's, if one of the Italian artist's murals was demolished first. El Greco quickly fell out of favor in Italy, but soon found a new home in the city of Toledo, in central Spain. He was influential in creating a style based on impressions and emotion, featuring elongated fingers and vibrant color and brushwork. Uniquely, his works featured faces that captured expressions of sombre attitudes and withdrawal while still having his subjects bear witness to the terrestrial world. His paintings of the city of Toledo became models for a new European tradition in landscapes, and influenced the work of later Dutch masters. Spain at this time was an ideal environment for the Venetian-trained painter. Art was flourishing in the empire and Toledo was a great place to get commissions. He was born on June 6, 1599, in Seville. Both parents were from the minor nobility. He was the oldest of six children. Diego Velázquez is widely regarded as one of Spain's most important and influential artists. He was a court painter for King Philip IV and found increasingly high demand for his portraits from statesmen, aristocrats, and clergymen across Europe. His portraits of the King, his chief minister, the Count-duke of Olivares, and the Pope himself demonstrated a belief in artistic realism and a style comparable to many of the Dutch masters. In the wake of the Thirty Years' War, Velázquez met the Marqués de Spinola and painted his famous Surrender of Breda celebrating Spinola's earlier victory. Spinola was struck by his ability to express emotion through realism in both his portraits and landscapes; his work in the latter, in which he launched one of European art's first experiments in outdoor lighting, became another lasting influence on Western painting. Velázquez's friendship with Bartolomé Esteban Murillo, a leading Spanish painter of the next generation, ensured the enduring influence of his artistic approach. 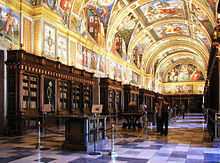 Had the building been finished, it would have been one of the biggest cathedrals in Spain. When the building was started, Valladolid was the de facto capital of Spain, housing king Philip II and his court. However, due to strategical and geopolitical reasons, by the 1560s the capital was moved to Madrid, thus Valladolid losing its political and economical relevance. By the late sixteenth century, Valladolid's importance had been severely resented, and many of the monumental projects such as the Cathedral, started during its former and glorious days, had to be modified due to the lack of proper finance. Thus, the building that nowadays stands could not be finished in all its splendour, and because of several additions built during the 17th and 18th centuries, it lacks the purported stylistical uniformity sought by Herrera. Indeed, although mainly faithful to the project of Juan de Herrera, the building would undergo many modifications, such as the addition to the top of the main façade, a work by Churriguera. Francisco Guerrero, a Spanish composer of the 16th century. He was second only to Victoria[clarification needed] as a major Spanish composer of church music in the second half of the 16th century. Of all the Spanish Renaissance composers, he was the one who lived and worked the most in Spain. Others—like, for one, this example Morales and Victoria—spent large portions of their careers in Italy. 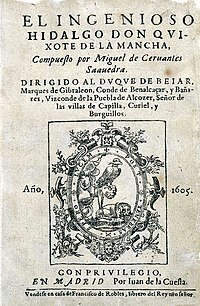 Guerrero's music was both sacred and secular, unlike that of Victoria and Morales, the two other Spanish 16th-century composers of the first rank. He wrote numerous secular songs and instrumental pieces, in addition to masses, motets, and Passions. He was able to capture an astonishing variety of moods in his music, from elation to despair, longing, depression, and devotion; his music remained popular for hundreds of years, especially in cathedrals in Latin America. Stylistically he preferred homophonic textures, rather like his Spanish contemporaries, and he wrote memorable, singable lines. One interesting feature of his style is how he anticipated functional harmonic usage: there is a case of a Magnificat discovered in Lima, Peru, once thought to be an anonymous 18th century work, which turned out to be a work of his. Francisco de Avellaneda, a prolific writer of short comedies and dances. ^ Gállego and Gudiol 1987, p. 15. ^ Bartolome Esteban Murillo, Britannica online Encyclopedia, retrieved 30 Sept. 2007. Text search on (untranscribed) images of the BNE Digitized collection of Spanish Golden Theatre.